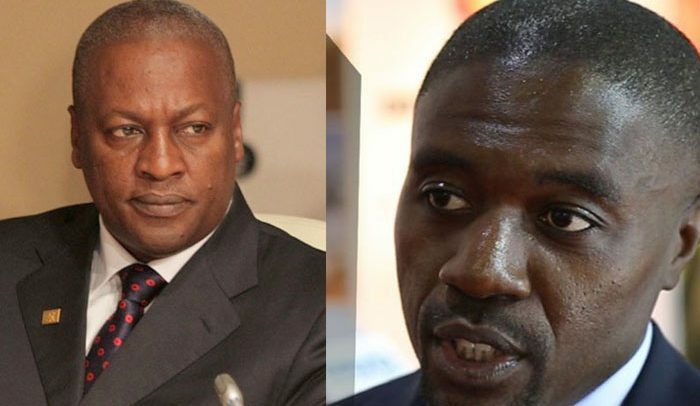 Former Consul General to Dubai, Daniel Osei, has bashed former President John Dramani Mahama once again, entreating the opposition National Democratic Congress (NDC) to reject the former leader of Ghana as the party’s flagbearer for the 2020 presidential election. He added that the NDC cannot entrust its future into the hands of the former President once again. He said the NDC delegates must be made to understand that “a primary victory is not a general election victory, so that they will make informed choice during the December 7, 2018 NDC presidential primary. Mr. Osei revealed that former Vice President Paa Kwasi Bekoe Amissah-Arthur, who died recently, was preparing to contest his former boss Mr. Mahama. “Most of the party elders know this because he told them and he hinted at this during the revolutionary lectures. I know this because he told me himself and his strange passing raised a lot of questions in the minds of Fantis. “How attractive is he (Mahama) now to Fantis? Right or wrong, they blame him for his poor treatment of Paa Kwasi, the late Vice President. This complaint was made by residents of Central Region prior to the 2016 elections and Mahama’s response was to erect big billboards of Lordina, his wife, throughout the region. This infuriated the people of the region, and we saw the results. We lost 80 percent of our seats in Central Region. “The unfortunate and sad reality is we have a real chance of winning, but JM can’t win. He simply can’t. He said after the NDC lost, he and a couple of NDC members, including Kojo Bonsu, started the re-organization of the party for 2020 but the Mahama loyalists made things difficult.